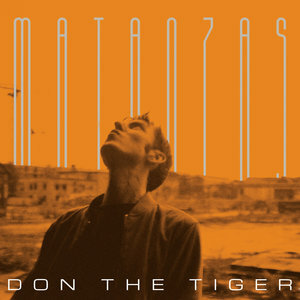 Befitting the unusual, hard-to-classify nature of his music, Don the Tiger's new album, Matanzas, draws from a wild array of influences. The title of the album refers to the coastal Cuban town that birthed the rumba and is something of a hotbed of poetry, culture, and Afro-Cuban folklore. But Adrian de Alfonso – the real name of Don the Tiger –was actually quite an influential presence in the underground scene of Barcelona until he moved to his present home of Berlin. This level of globetrotting can make even the most seasoned artist PR expert's head spin, but it works to the listener's advantage. The result is a glorious if decidedly moody collection of cosmopolitan musical weirdness. It's hard to pin down exactly where Alfonso's primary influences lie. The music on Matanzas certainly contains more than a smidgen of Cuban influences, and that's evident right off the bat on "Cantos Al Aral Menguante", a heavily syncopated slow burn with plenty of seductive percussion accompanying Alfonso's arresting baritone. You can almost see the smoke rings wafting out of the speakers. But Alfonso isn't content to sit still with the conventional lilt of Caribbean rhythms. Perhaps influenced by his current residence in Germany's capital, there's an experimental no-wave kick to a lot of Matanzas. "Derrengados En La Arena" is framed by a jittery, otherworldly mellotron, giving an oddly melodic sci-fi feel to the song. Furthermore, the combination of musique concrete and drunken lounge singer babbling seems to evoke Tom Waits at his weirdest. As Don the Tiger, Alfonso doesn't want us to be complacent, and he constantly digs deep for the most extreme sounds and the furthest island from the mainland. That's certainly the case with songs like "Ojos Secos Como Cuernos", a brief snippet of organ noodling that almost sounds like an aimless interlude pulled from a soundcheck. The same goes for "Rezongo En El Guadual", which shifts abruptly from industrial effects to spacey keyboard melodies that give off the feel of a playful film soundtrack. Alfonso has described Matanzas as something of a "dual" record, combining both smoothness and grit, with "grainy samples… rubbed against polished MIDI instruments", as he explains in the press release, "and tapes and amps blended with a bunch of digital processors. Even the colorful progressions and lively arrangements were somehow counterpointed by a shady presence lying under the floorboards." The "noise versus crooning" back-and-forth can result in an occasionally maddening listening experience, but it's never boring. The jazzy vocalizing of tracks like "La Decimoquinta Fiebre de Arturo Velez" and "Querido Asaeteador" shows possible influences of singers like Bryan Ferry and Paolo Conte, while still keeping Cuban rhythms – not to mention something of a ponderous Leonard Cohen jones - at arm's length. It's this kind of musical schizophrenia that is often lacking in the most eclectic singer/songwriters, and one that Adrian de Alfonso – as Don the Tiger – relishes with glorious abandon. The album may be named after the capital of a Cuban province, but the album is the result of a restless artist who's traveled the world.